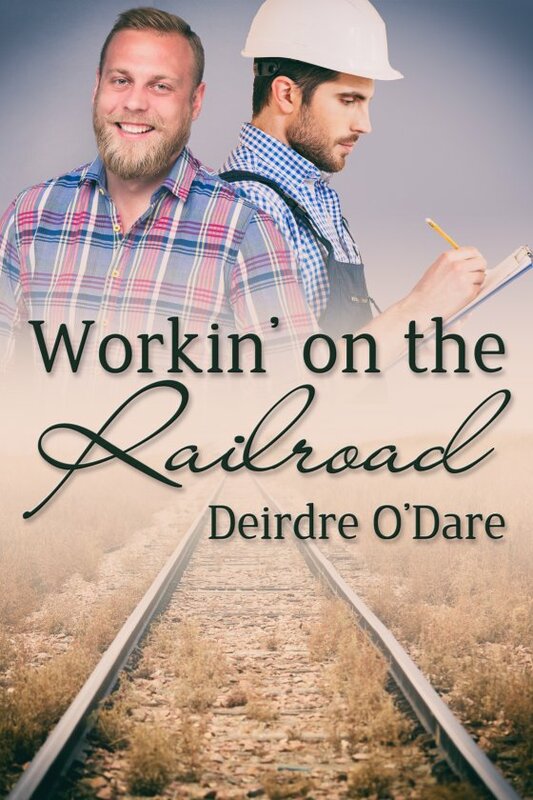 Workin’ on the Railroad by Deirdre O’Dare is now available! Roane Wellman only intends to work one summer on railroad maintenance to pay for his next semester of college after his party-guy ways made his grandfather to stop supporting his schooling. In a summer of hard work, adventure, and danger, he matures and finds a new course for his life. Before the season ends, he knows he’s meant to be workin’ on the railroad as he fights to build a career and a partnership that just might last for the rest of his life. Alden Prescott is a loner, content to operate his big crane and shrug off the added responsibilities of being a gang foreman. His current foreman, however, is a drunkard and so close to worthless that Alden ends up doing a lot of the functions he has tried to avoid. Although Alden’s strongly drawn to the handsome new summer hire, memories of a past tragedy make him afraid to pursue the relationship. What will it take to convince Alden that Roane is not going to let him repeat past mistakes? Is their budding relationship heading for a train wreck, or is it the perfect connection to take them down life’s track together?